Hadoop is a powerful and cost-effective framework for processing large data sets — but how do you get self-service, real-time access to your data? Leveraging an SQL-on-Hadoop engine and BI tools gives the everyday user access to valuable data without relying on having in-depth knowledge of technical application programming interfaces. Apache Drill is a new project which makes SQL on modern data structures in Hadoop, NoSQL, and more easier than ever. 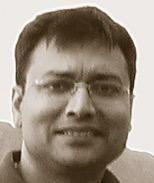 Piyush is the chief architect for Data and Information Management at Cisco IT. He is responsible for technology strategy and architecture for big data, analytics and master data management. Piyush has a passion for innovation and finding new ways of harnessing data. Piyush holds BS in Computer Science from IIT Roorkee and MS in Computer Science from Iowa State. As Research Director for the data platforms and analytics research channel, Matt has overall responsibility for the coverage of operational and analytic databases, data integration, data quality, and business intelligence. Matt's own primary area of focus is on relational and non-relational databases - including NoSQL and NewSQL - data warehousing, data caching, and Hadoop. Matthew is also an expert in open source software and regularly contributes to 451 Research's open source-related research. 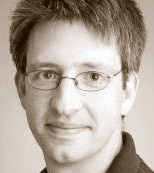 Prior to joining 451 Research, Matthew was Deputy Editor of monthly magazine Computer Business Review and ComputerWire's daily news service. Matthew started in IT journalism in 1997 as a staff writer with monthly magazine Unix and NT News, where he became editor in 2000. He has also contributed to a number of other publications. 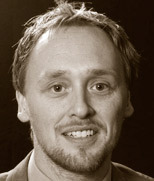 Matthew holds a BA in Multimedia Journalism from Bournemouth University in the UK. Jacques is an industry veteran with over 15 years of big data and analytics experience. 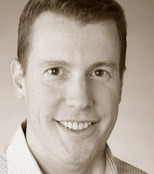 Most recently, he led Apache Drill development at MapR. Before that he was cofounder and CTO of search engine startup YapMap and was director of new product engineering with Quigo (contextual advertising, acquired by AOL in 2007). He also built the Avenue A | Razorfish analytics data warehousing system and associated services practice (acquired by Microsoft). Steve Wooledge is Vice President, Product Marketing for MapR, where he is responsible for identifying new market opportunities and increasing awareness for MapR technical innovations and solutions for Hadoop. Steve was previously Vice President of Marketing for Teradata Unified Data Architecture, where he drove Big Data strategy and market awareness across the product line, including Apache Hadoop. Steve has also held various roles in product and corporate marketing at Aster Data, Interwoven, and Business Objects, as well as sales and engineering roles at Business Objects and Dow Chemical.